The 1st annual All Heart Pre-Season Pro Camp has begun. Proceeds are going towards the Craig Cunningham All Heart Foundation, a foundation in which Craig is working with top doctors in the world to try to predict and prevent sudden cardiac arrest. Day 1 of the camp consisted of 32 pro players preparing for their season. Newell Brown, Yogi Svejkovsky and Derek Popke are running the sessions. 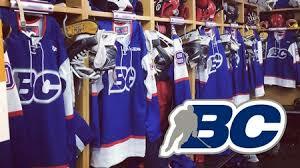 Midget Prep coaches Spencer Bennett and Kris Beech are assisting in the week camp. The camp begins again tomorrow at 12:30pm. Spectators are welcome! Delta B.C. 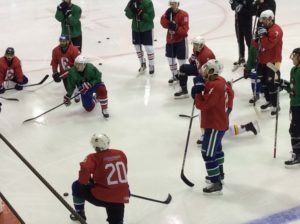 – The Delta Hockey Academy (DHA) are excited to announce new roles within the Hockey Operations team, including a Director of Female Hockey, a new position within their organization, which will be filled by Owen Pighin. Scott May will take over as the Head Coach of the Female Prep team, Brittany Kirby has joined the coaching staff as an Assistant Coach for the Female Varsity team and Kris Beech has been named an Assistant Coach with the male Midget Prep team. Pighin has spent the last two seasons as Head Coach of the DHA Female Varsity program and was a key member in the inaugural 2016-17 Canadian Sport School Hockey League (CSSHL) Championship season. The Tsawwassen, B.C. product has had a long coaching career of 35-plus years in both the male and female game. He was a key contributor to the start up of the Female Steelers program and was heavily involved in the development and female program at the North Shore Winter Club in the early 2000’s. Pighn will continue to serve as the Head Coach of the Female Varsity team while overseeing both the Female Varsity and Female Prep student athlete personnel in recruiting and post-secondary opportunities. “We are fortunate to have someone like Owen guide and support all of our female student-athletes with his enthusiasm, passion and respect for the game and athlete,” said Ian Gallagher, Director of the Delta Hockey Academy. May, currently Director of Hockey & Business Operations at Delta Hockey Academy will step into the role of Head Coach for the Female Prep team. May has coached the Male Midget Prep team since DHA’s inaugural 2013-14 season in the CSSHL. Highlighted by a CSSHL Championship in 2015-16, May looks for a new experience and challenge in the Female game. Before coaching, May had a playing career that took him to The Ohio State University (NCAA) where he was selected in the seventh round, 222nd overall, by the Toronto Maple Leafs at the 2002 NHL Draft. After his collegiate career, the White Rock, B.C. 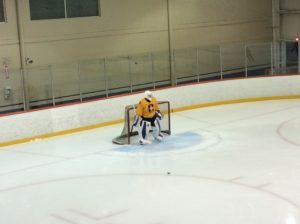 product went on to play eight seasons professionally at the AHL, ECHL and European levels. Kirby enjoyed a lengthy playing career that was highlighted by her time with the Pacific Steelers from 2003 to 2007 and then moving on to University of Toronto from 2009 to 2014. Most recently, Kirby has spent time with minor hockey programs in both Toronto and Winnipeg teaching skills development as well as serving as an Assistant Coach with Team Winnipeg in the most recent Manitoba Winter Games. Beech will join DHA in a full coaching capacity for the 2018-19 season with the Midget Prep team. He was with DHA last season in a mentorship and mental training role, while also assisting on the ice for practices. The Salmon Arm, B.C. product had an extensive 16-year pro career, after being drafted in the first round, seventh overall, by the Washington Capitals at the 1999 NHL Draft. He played with Washington, Pittsburgh, Nashville, Columbus and Vancouver before playing in Europe for eight years to end his career in 2016. DHA is extremely proud and congratulates Kurtis Smythe on signing a Standard Player Agreement with the Portland Winterhawks. Smythe, a 3 year DHA defenseman who posted 13 points (4-9-13) with the Midget Prep team this season was acquired by the Winterhawks in a trade after being drafted 42nd overall in 2017 by the Saskatoon Blades. 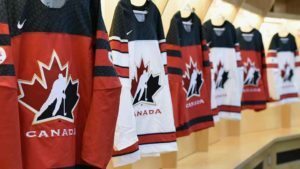 DHA is extremely proud and congratulates Cole Shepard, Payton Mount and Dylan Garand on being among the 111 players who have been invited to the U17 Challenge Development Camp in Calgary, July 21-27. DHA is extremely proud and congratulates alum Ty Taylor on being named the Top Goaltender in the BCHL. Taylor attended the Delta Hockey Academy during the 2015-16 season, backstopping the Midget Prep team to a 2016 CSSHL Championship. 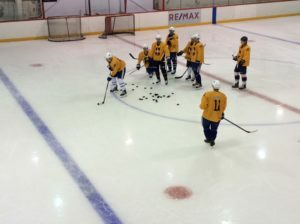 In 18 regular season games, the Richmond, B.C. product posted a 15-3-0 record with a 1.46 goals-against average, a .943 save-percentage and four shutouts. The six-foot-three, 200-pounder is currently in his second season with the Vernon Vipers. In 31 games this season, he had a 23-5-3 record with a 1.87 goals-against average, .931 save-percentage and seven shutouts. 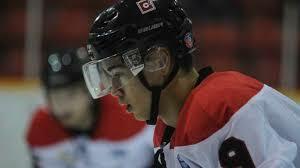 DHA is extremely proud and congratulates Merritt Centennials Nick Wicks on his recent team accolades. Wicks was presented with this year’s Best +/- Award and the prestigious Joe Tenant Award – Most Dedicated Player Award.